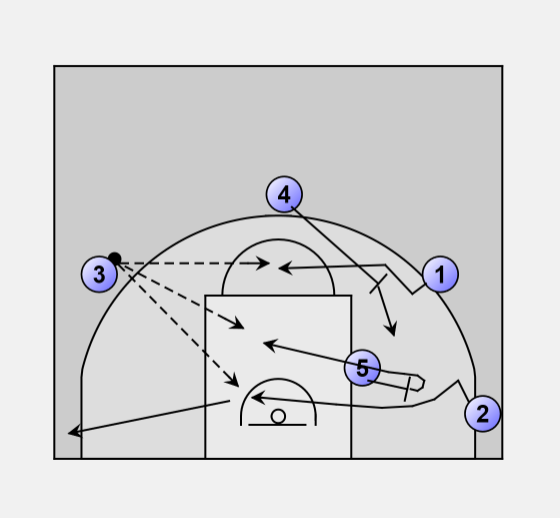 c) pass to 5 rolling into the middle after the screen. If none of the above passes are on, 2 continues to the Corner Spot, 5 posts-up, 1 is at the Point Spot and 4 drops down to the Weak Wing Spot. Play continues as from the 2nd pass option and we have shifted to the other side of the floor.